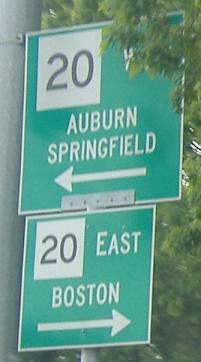 The above shield assembly can be found on Stony Hill Rd. 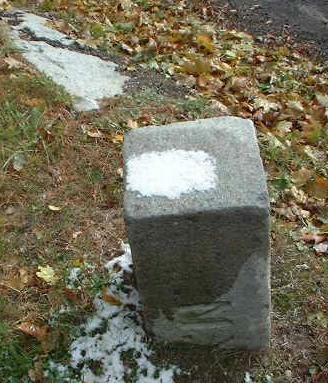 SB in Wilbraham. 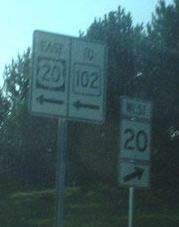 The next three photos are courtesy Doug Kerr. 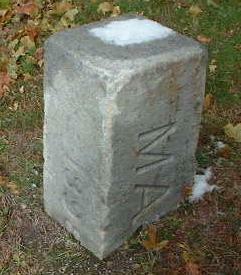 An 18th century stone marking the NY-MA border on US 20, clearly a historically signifcant road through the length of Massachusetts. 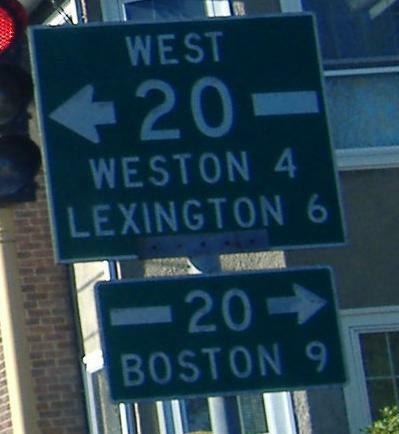 The MA 20 error pops up in several places: near the NY border, along the Southwest Cutoff around Worcester (US 20 used to use Southbridge St. (MA 12) into Worcester, and Lincoln St. (MA 70) out to Main St.), on School St. SB just west of I-95/MA 128, and on Moody St. NB in Waltham. 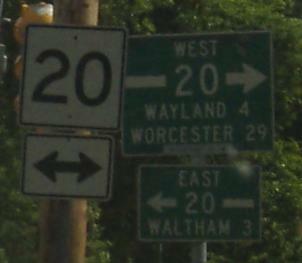 There will be more MA 20 shields on the EB and WB pages. 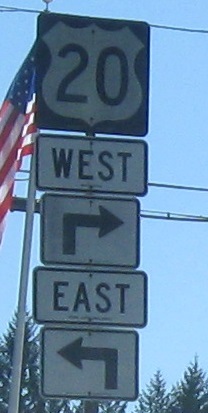 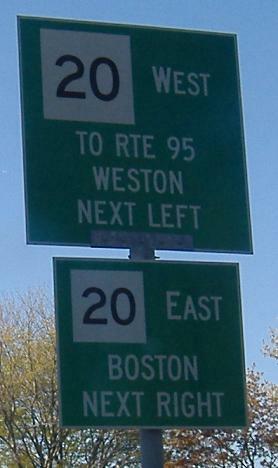 Changing pace and going old, we find these classic signs at the end of Newton St. NB, just west of the end of MA 60.